Touring/Sampling: Catawba, Twin Leaf, Hi-Wire and French Broad River Brewery. Touring/Sampling: Catawba, French Broad River, Hi-Wire and Wedge Brewery. Touring/Sampling: Pisgah, French Broad River and Hi-Wire Brewing. Private Tour - Matt J. This is a PRIVATE TOUR for Matt and his guests. This tour is NOT OPEN to the public. Private Tour - Madison T.
This is a PRIVATE TOUR for Madison and her guests only. This tour is NOT OPEN to the public. Private Tour - Chris H.
This is a PRIVATE TOUR for Chris H. and his guests only. This event is NOT OPEN to the general public. Private Tour - Ali B. This is a private tour for Ali and her guests. This tour is not open to the public. This is a PRIVATE TOUR for Jenia and her guests only. This event is NOT OPEN to the general public. Private Tour - Caddie D.
This is a PRIVATE TOUR for Caddie and her guests only. This tour is NOT OPEN to the public. Private Tour - Shaun S.
This is a PRIVATE TOUR for Shaun and his guests. This tour is NOT OPEN to the public. Private Tour - Allison S.
This is a private tour for Allison and her guests only. This tour is not open to the public. Private Tour - Rachel W.
This is a PRIVATE TOUR for Rachel and her guests. This event is NOT OPEN to the general public. Private Tour - Michael E.
This is a PRIVATE TOUR for Michael and his guests only. This tour is NOT OPEN to the public. This is a PRIVATE TOUR for Brian and his guests only. This event is NOT OPEN to the general public. 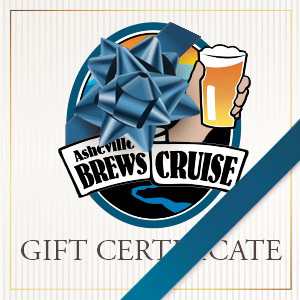 © Asheville Brews Cruise 2017 "We're Cruisin' for a Brewsin!"